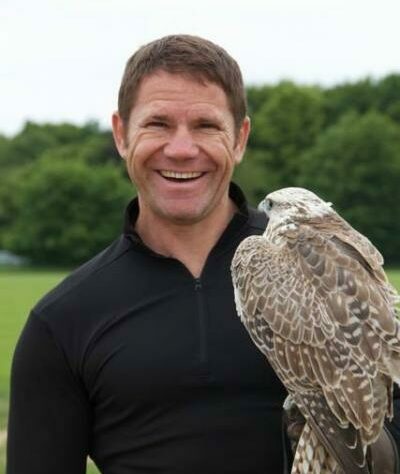 Fresh from his recent appearance on Strictly Come Dancing 2014, Steve Backshall is turning his attention to something completely different. Taking on a new challenge, Steve is attempting the longest non-stop canoe race in the world to raise funds for World Land Trust (WLT). Over the first weekend in April, Steve and fellow paddler George Barnicoat will be kayak racing 125 miles from Devizes to Westminster. 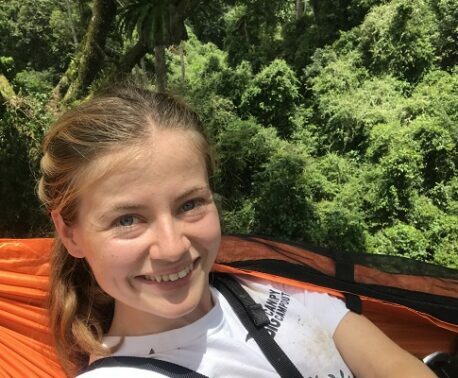 Steve and George are taking on the challenge to raise funds to buy and protect a section of Colombian rainforest, saving it from logging, poaching or any other form of exploitation. Since 2008 World Land Trust has been saving rainforest in Colombia. In 2012, WLT helped create the Rana Terribilis Amphibian Reserve in the Chocó forest. The reserve protects the Golden Poison Frog (Phyllobates terribilis), which is considered the most poisonous vertebrate on Earth. Steve has a keen interest in the planet’s most lethal creatures. 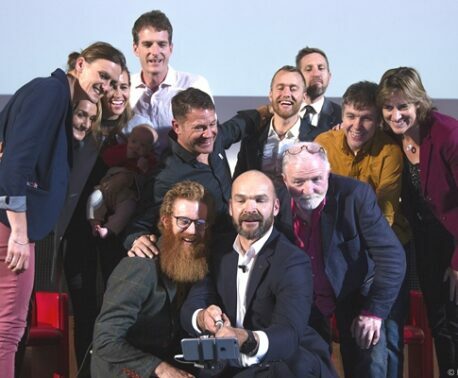 Since 2009 he has been presenting Deadly 60, and other natural history programmes. This involves tracking down the world’s most dangerous species and discovering more about their predatory behaviour and natural habitat. Steve’s participation in the famous Devizes to Westminster race is likely to attract considerable media attention, and there are excellent opportunities for corporate donors to sponsor the boat, clothing and equipment. For major donors Steve and George are prepared to make personal appearances and host company events. If a donation was sufficiently generous, they would consider making a short film incorporating the sponsor’s logo. The pair hope to finish the race inside 24 hours. Well-wishers are welcome (particularly in the early hours of the morning when spirits are flagging). This is a brutal non-stop endurance race, so the pair will not be stopping for photos and autographs! The non-stop version of the race from Devizes to Westminster, known as the ‘senior doubles’, is one of the toughest challenges in the UK endurance calendar. As well as paddling 125 miles along the Kennet and Avon Canal and the River Thames, contestants are required to carry their boats around 77 locks. The race was first held in 1948 and the current course record, set in 1979, is 15 hours, 34 minutes. Although Steve’s television career has focused on natural history, his recent, enthusiastic foray into the star spangled world of ball room dancing has made him a household name. Describing Strictly Come Dancing as “definitely my scariest mission yet”, Steve made it through to the ninth week of the 13-week competition. His broadcasting career began with National Geographic Channel International, where he was Adventurer in Residence, producing, filming and presenting adventure and natural history programmes. In 2003 Steve moved to the BBC Natural History Unit where, like WLT Patron Chris Packham, he became one of the presenters on the children’s wildlife programme The Really Wild Show. Steve went on to join the Natural History Unit’s expedition team, making the first ascent of a jungle peak and dropping into a vast sinkhole in the Mulu mountains in Expedition Borneo. In making Lost Land of the Volcano, Steve was the first outsider to enter the Volcano Mount Bosavi, where the research team discovered as many as 40 new species. In 2011, Backshall won two BAFTA awards for best Children’s Television Presenter and Best Factual series. In the US he was nominated for an Emmy award for Expedition Borneo while Lost Land of the Volcano won the 2012 Wildscreen award for best popular broadcast. In 2012 Backshall was awarded an honorary PhD from the University of Exeter. Outside his natural history television work, Steve is a keen endurance athlete. This will not be his first Devizes to Westminster kayak race and he has previously completed many extreme challenges including the Marathon Des Sables and the Welsh 1,000 metre peaks marathon. He is passionate about rock and ice climbing, kayaking and cycling.